Outstanding Actor went to John Boyega, for the British sci-fi alien invasion dramedy, Attack the Block, which also won Best Foreign Film. Don Cheadle was awarded the Outstanding Supporting Actor for his work on The Guard, while Adepero Oduye won Outstanding Breakthrough Performance for her role as a young woman coming to terms with her sexuality in Pariah. The other significant winner was Shame, the story of a man consumed by his own ferocious sexual appetites. Shame walked away with two awards: Outstanding Director and Outstanding Screenplay, Original or Adapted for writer/director Steve McQueen. Outstanding Feature Documentary went to Beats, Rhymes & Life: The Travels of a Tribe Called Quest. Outstanding Independent Feature Film was awarded to My Last Day Without You, Outstanding Independent Short Film to Wake, and Outstanding Independent Documentary to Infiltrating Hollywood: The Rise and Fall of the Spook Who Sat By the Door. Feature films weren’t the only medium boasting wins for familiar faces. 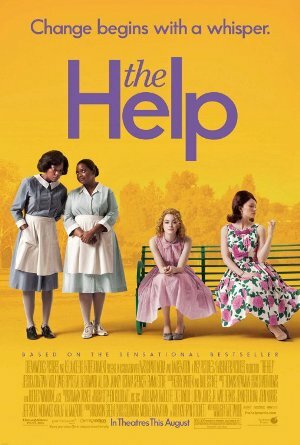 Popular movie and television star Idris Elba won Outstanding Television or Mini-Series Performance, Male for his rule in Luther, while Taraji P. Henson won her second Black Reel Award for Outstanding Television or Mini-Series Performance, Female for Taken From Me: The Tiffany Rubin Story. Planet Rock: The Story of Hip Hop and the Crack Generation won Outstanding Television Documentary, and Thurgood, the story of late Supreme Court Justice Thurgood Marshall, won Outstanding Television or Mini-Series Film. 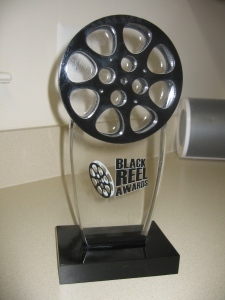 The Black Reel Awards is comprised of 50 film critics from across the country and spanning television, radio, print and the Internet. Voting was conducted from January 9, 2012 to January 13, 2012.